If you can dream it up, and a record can fit into it, chances are someone has used it to package a record… if not you're lucky, and you should let us help you make it happen. We make more custom jackets for vinyl than probably any other manufacturer on earth. 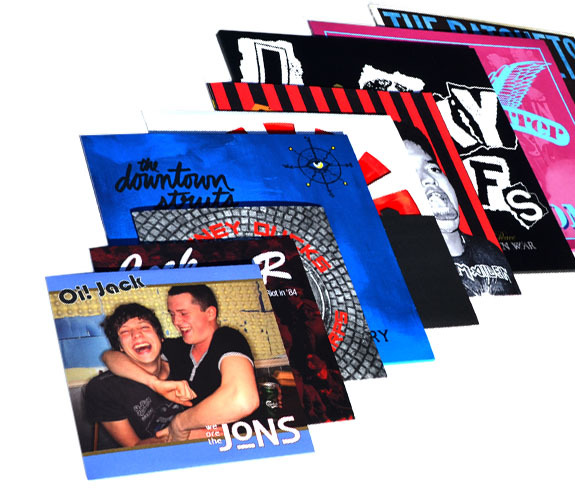 The number of different standard jackets, gatefold jackets, foldover jackets, and more that we already offer is astounding, and most people can easily find the one they're looking for, but we make ordering a new *custom* one easy too! You can browse the catalog of available jackets in the templates section of our website to see all of the options available to you, and feel free to inquire about making a new one, or adding a modification like a diecut or pull-out notch to an existing one. Our customer service team and graphics department are more than happy to help you create exactly the product and package that you're looking for!